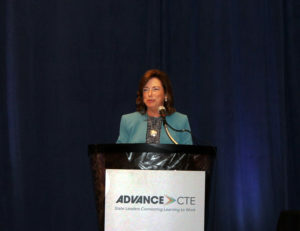 On Tuesday, October 23, Barbara Humpton, CEO of Siemens Foundation gave the keynote address at the Advance CTE 2018 Fall Meeting in Baltimore, Maryland. Humpton’s many responsibilities include managing the company’s strategy and engagement and leading more than 50,000 employees. Humpton began her remarks by emphasizing the importance Siemens places on investing in their employees. The Siemens Foundation has invested more than $100 million in the United States to advance workforce development and education initiatives in Science, Technology, Engineering and Mathematics (STEM). Humpton also shared her personal connection to Career Technical Education (CTE). She developed her passion for STEM early in her education and the opportunity to gain experience working directly with IBM inspired her to continue in this area. Humpton’s passion grew as she saw the impact of her work. “What matters to me is the mission, what matters to me is purpose, doing things because they are making a big change in the world,” she said. Her search for meaning in her career mirrors the aspiration of learners and their parent’s across the country. 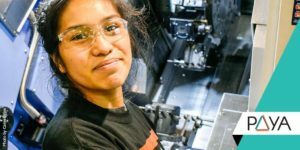 She cited The Value and Promise of Career Technical Education: Results from a National Survey of Parents and Students to emphasize this key finding – discovering a career passion is the most important critical goal for both learners and parents– even surpassing having a career that pays well. Humpton challenged the attendees to work to reach more people and help them see CTE’s true potential. 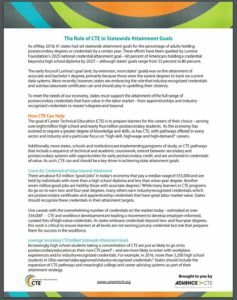 How we talk about CTE is important and continuing to create platforms that share learner success stories and high-quality programs can contribute to changing outdated perceptions. She closed by stating that this is an important moment for CTE. She encouraged all of us to be bold, to reach out to employers, to discover and utilize the talent in each community and thanked the CTE leaders for their commitment to students and public service. Advance CTE reflects on sessions and activities at the Advance CTE Fall Meeting held earlier this week in Baltimore, Maryland. Learn more about sessions you may have missed in this series. This year’s Fall Meeting included a session called, “Moving Beyond a Seat at the Table: Advancing CTE Through Partnerships and Collaboration” on how state leaders in Career Technical Education (CTE) can build meaningful relationships. 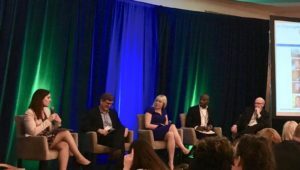 Kate Kreamer, Deputy Executive Director of Advance CTE, moderated this session, and encouraged the room to be intentional when building partnerships and evaluate not just the strength of the relationship but also the value. There were many good points from the panelists, but one that I found particularly compelling was the push to consider whether there are mutual benefits coming out of a partnership. As CTE increasingly gains national traction, leaders in the area are being pulled into a variety of conversations. However, the panelists encouraged us to consider whether we are being included in order to “check a box,” or whether we are gaining anything substantive from each other. I found the push to consider what we can bring to the table in a partnership, and what type of role our partner can play for our own goals, to be especially valuable. Quality of engagement, instead of quantity, is something that we can all consider as we continue on in our own work. Since I’ve joined Advance CTE’s team in March 2018, equity in CTE has been a constant topic in the office. 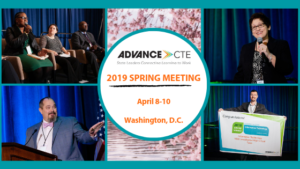 Advance CTE has reached out to state leaders as well as partner organizations to learn about how we may help state leaders advance equity in CTE. It was exciting to share some of our findings from this outreach with our members during the Building Trust to Ensure Equity in CTE session at Fall Meeting. The session allowed our members to learn about how Wisconsin is using policy levers to advance equity in CTE for historically marginalized populations and how Oklahoma is promoting a culture in the state agency and teacher workforce that values equity through diversity and inclusion trainings. I’m excited to use the questions and comments from session participants to inform Advance CTE’s future equity briefs. Here are two topics that don’t often get a lot of attention: data and funding. All too often states are constrained by resources, capacity, funding and policy from making any real progress on either front, leaving these two very important issues to take a back seat to more pressing concerns. But all that is beginning to change. 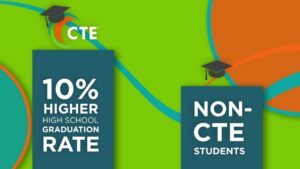 In 2017, funding was the number one policy priority across the states – and that’s during a year in which 49 states and Washington, DC collectively passed more than 240 CTE-related policies. The federal government has also increased funding for CTE through the Fiscal Year 2018 and FY 2019 budgets. And with Perkins V implementation on the horizon, states are starting to think very seriously about restructuring their data systems to meet more rigorous expectations for data collection and reporting. At the Fall Meeting, attendees had the chance to hear from leading states that are using funding and data to improve outcomes for learners. 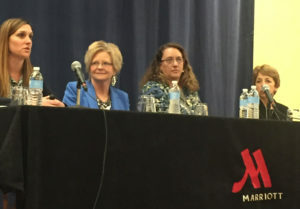 One of the breakout sessions highlighted Tennessee’s efforts to braid funding across a variety of funding streams including the Perkins reserve fund, the state’s Experienced Professional in the Classroom (EPIC) project to support CTE teacher pathways, and the New Skills for Youth initiative. 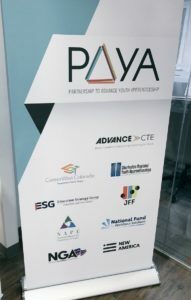 Participants also heard about the North Carolina Community College system’s tiered funding structure, which is designed to incentivize and support programs in high-demand industries. 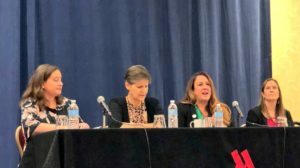 During a general plenary about using CTE data, participants got to hear a conversation with State CTE Directors facilitated by Elizabeth Dabney of the Data Quality Campaign. Elizabeth talked about common challenges and policy recommendations for making the most of data by building trust, protecting privacy and, most importantly, measuring what matters. State leaders from Hawaii, Ohio and Texas shared some of their own lessons and strategies for using CTE data. 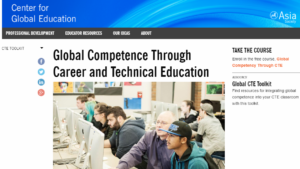 Last fall, Advance CTE launched the inaugural Career Technical Education (CTE) Virtual Institute, a web-based course designed to help new audiences become experts on CTE. Participants learned about the history of CTE, addressed common myths and recognized the role they play in supporting a high-quality CTE system. Submitting conference proposals for a statewide CTE conference. The CTE Virtual Institute provided the space for professionals to come together and collectively unpack the core components of a high-quality CTE system. Today, we are excited to announce that we are recruiting a second cohort to participate in the Summer 2018 CTE Virtual Institute. The summer course will begin in mid-July and conclude in early September. New this year, participants will be able to engage directly with the foremost thinkers in the field through a series of “brown bag” calls with CTE experts. If you are interested in joining, please apply by June 15. Otherwise, consider passing this information along to your network and/or staff. Additional details are provided below. Who should apply: Individuals new to the world of CTE or with limited backgrounds, including practitioners, policymakers, researchers and more. Other details: The course will begin on July 12 and conclude by September 7, 2018. The course will be hosted on Advance CTE’s Moodle site. Click here to view a copy of the course syllabus.